Burundi occupies an area equal to 27,830 square kilometres (10,750 sq mi) in size, of which 25,680 square kilometres (9,920 sq mi) is land. The country has 1,140 kilometres (710 mi) of land border: 236 kilometres (147 mi) of which is shared with the Democratic Republic of the Congo, 315 kilometres (196 mi) with Rwanda and 589 kilometres (366 mi) with Tanzania. 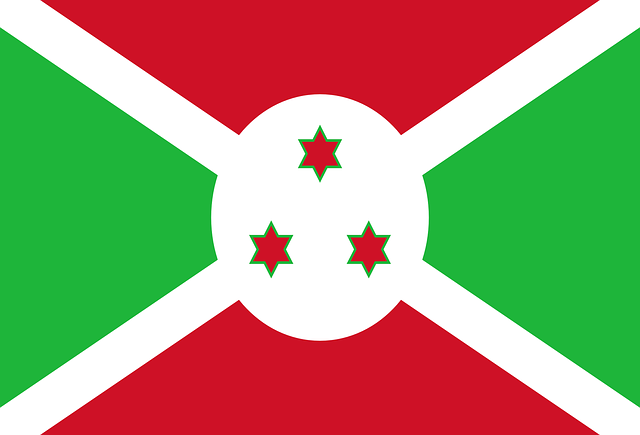 As a landlocked country, Burundi possesses no coastline. It straddles the crest of the Congo-Nile Divide which separates the basins of the Congo and Nile rivers. The farthest headwaters of the Nile, the Ruvyironza River, has its source in Burundi. The lowest point in the country is at Lake Tanganyika, at 772 metres (2,533 ft), with the highest point being on Mount Heha, at 2,684 metres (8,806 ft). Natural hazards are posed in Burundi by flooding and landslides. Burundi possesses reserves of: nickel, uranium, rare earth oxides, peat, cobalt, copper, platinum (not yet exploited), vanadium, niobium, tantalum, gold, tin, tungsten, kaolin, and limestone. There is also arable land and the potential for hydropower. Burundi has 214.3 square kilometres (82.7 sq mi) of land that is irrigated. The table below describes land use in Burundi.